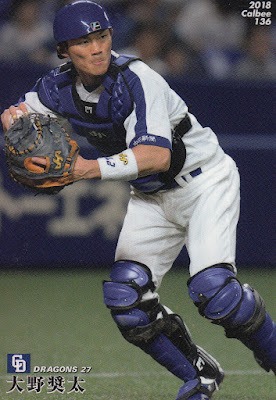 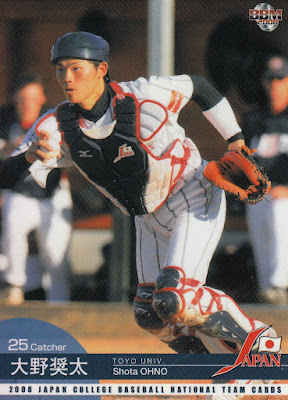 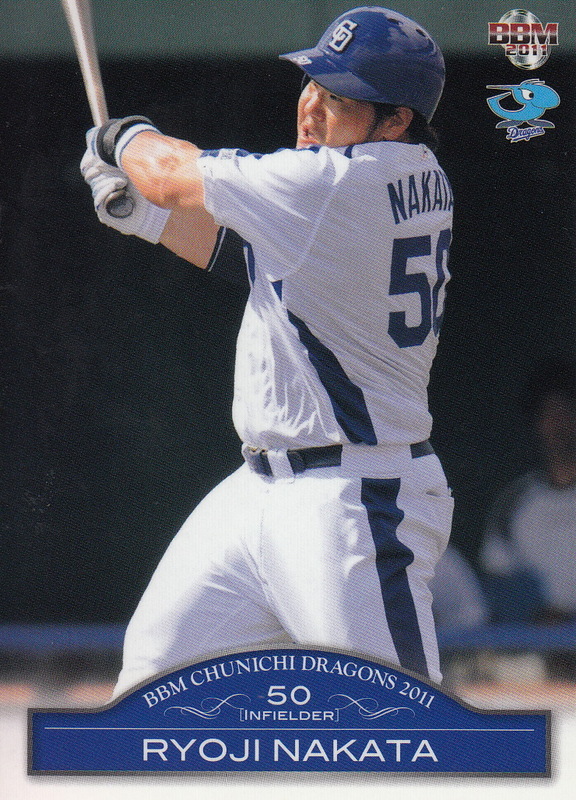 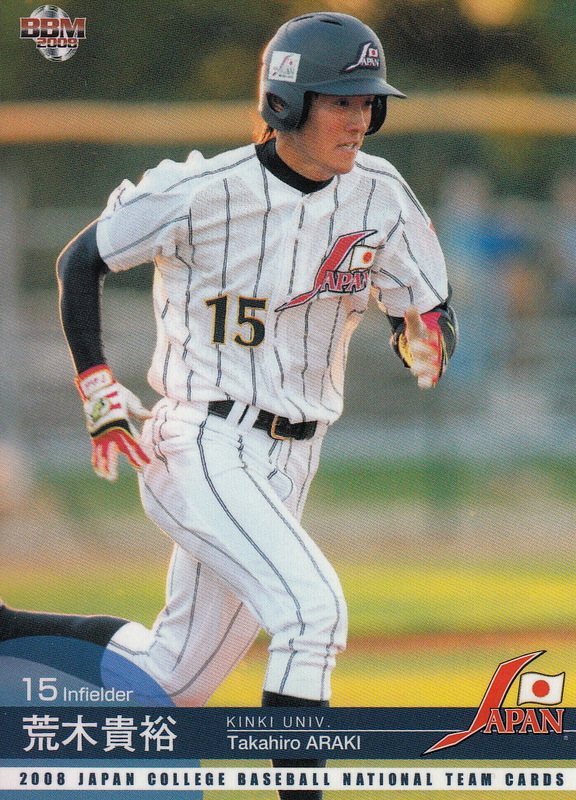 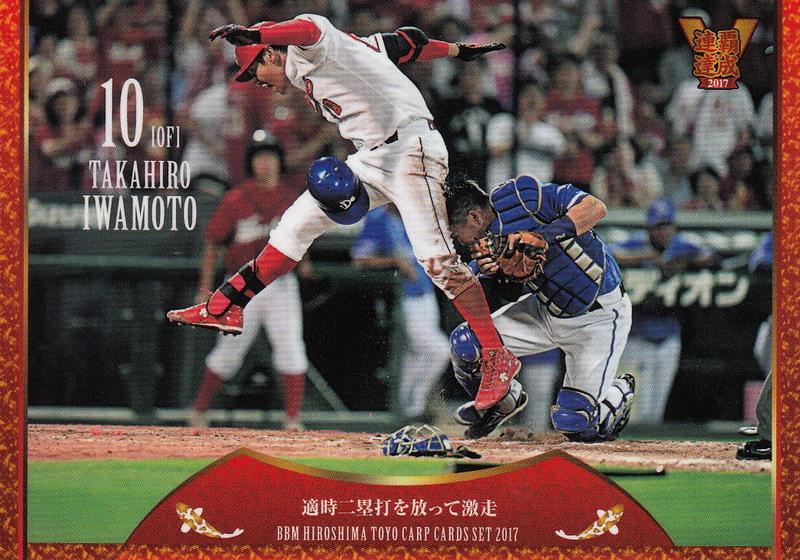 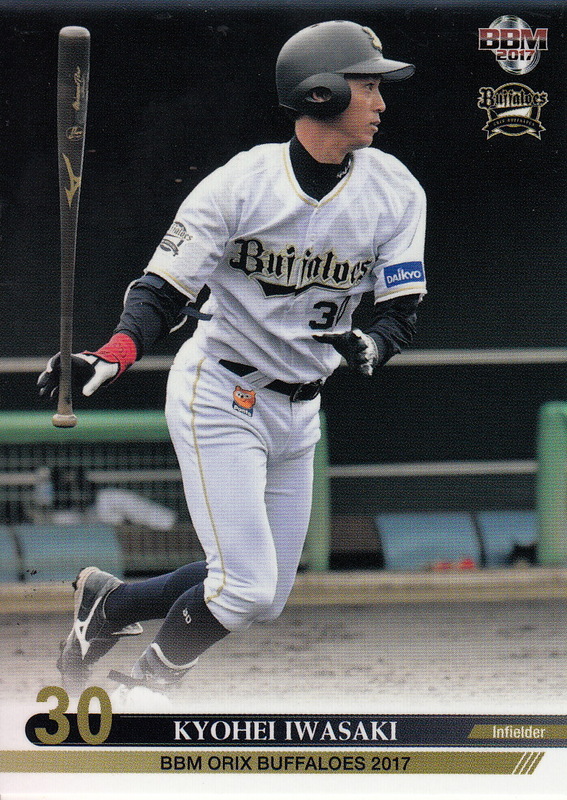 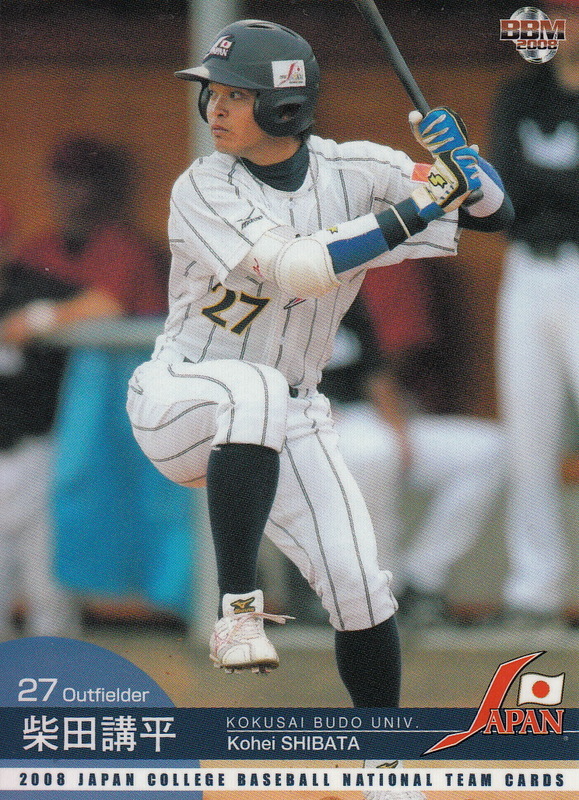 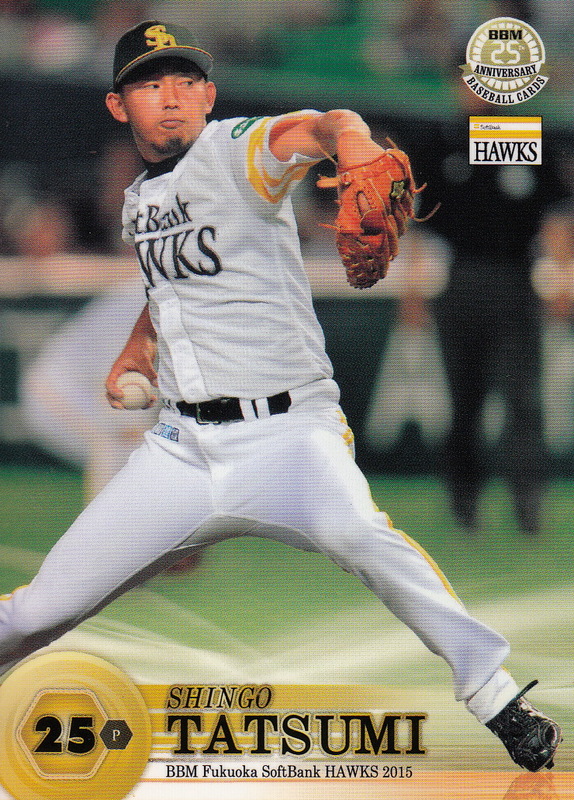 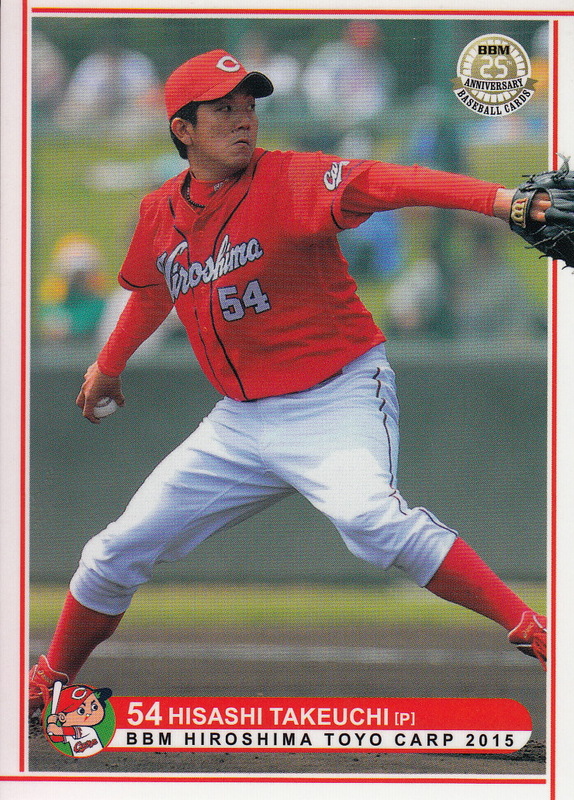 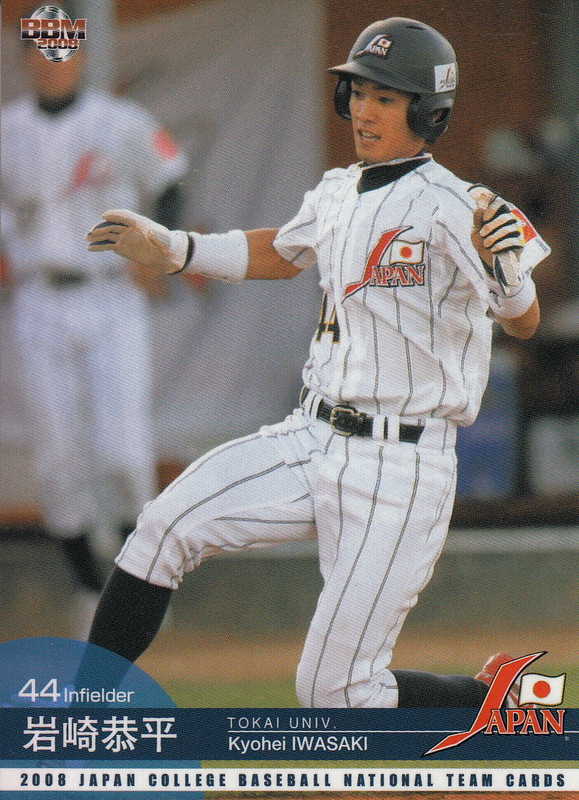 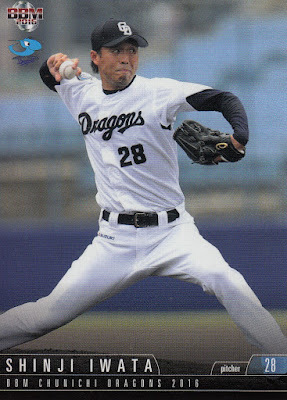 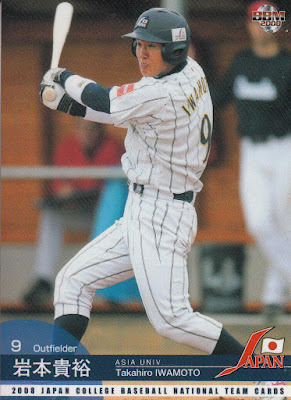 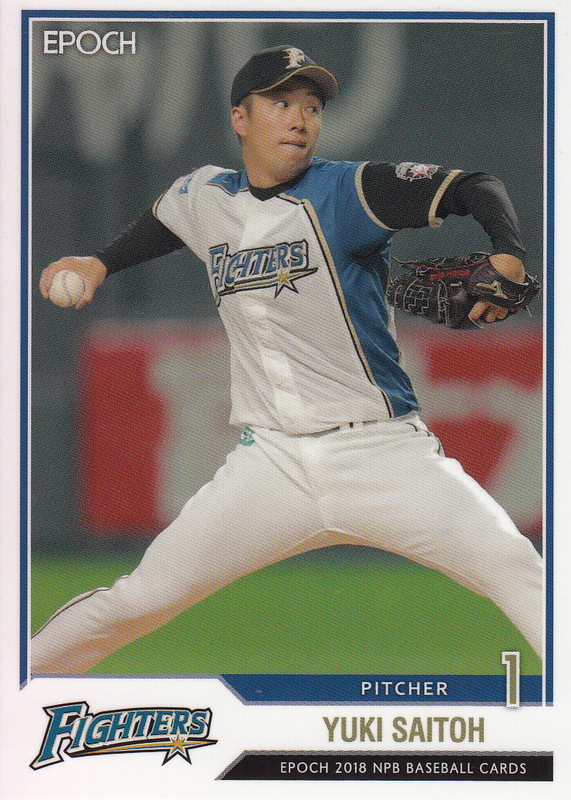 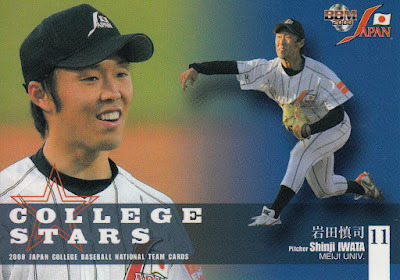 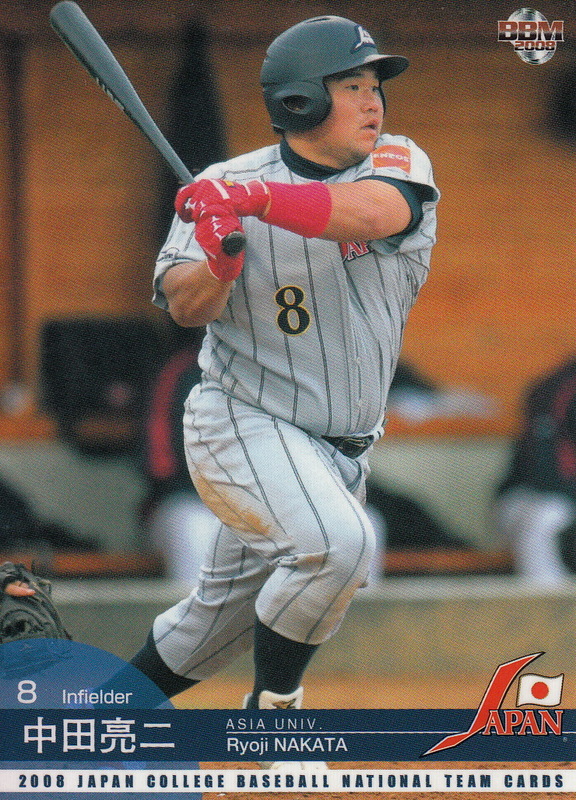 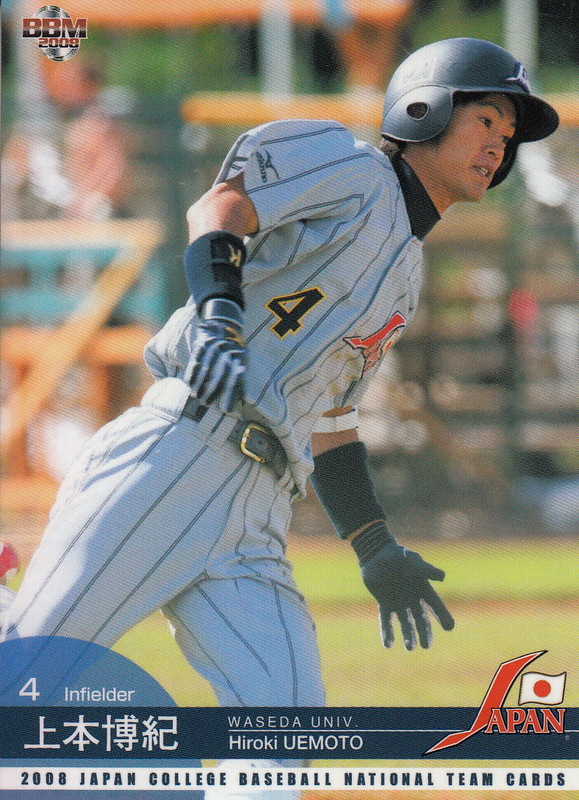 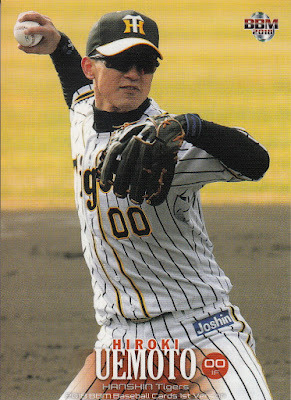 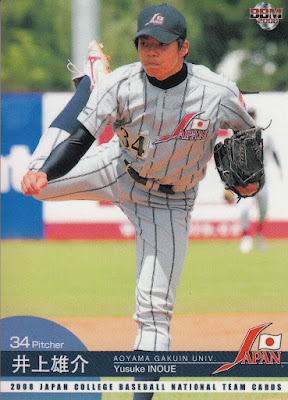 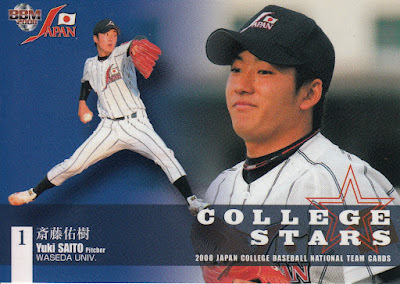 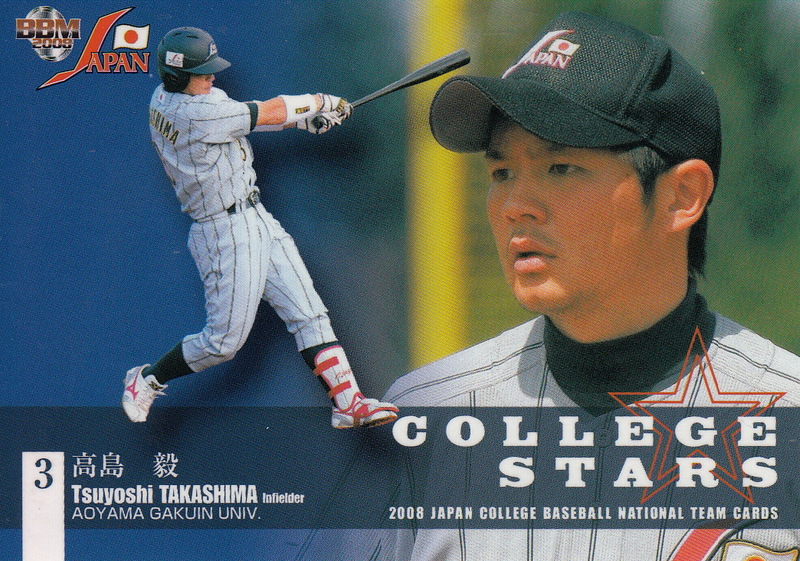 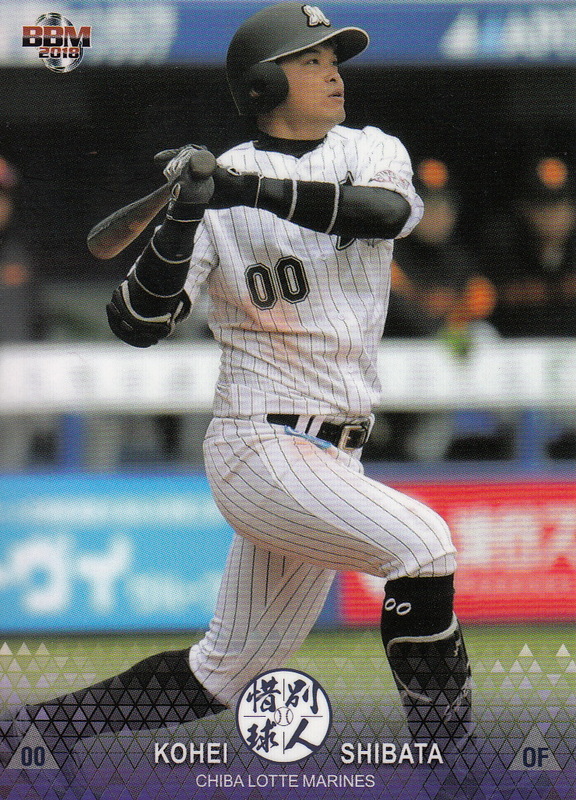 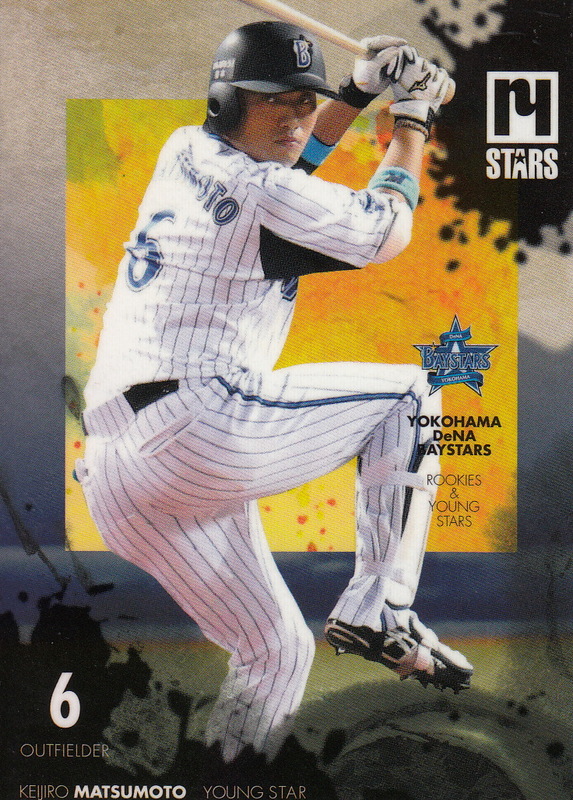 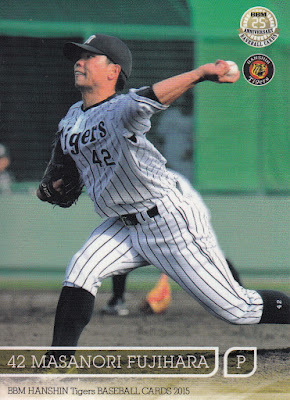 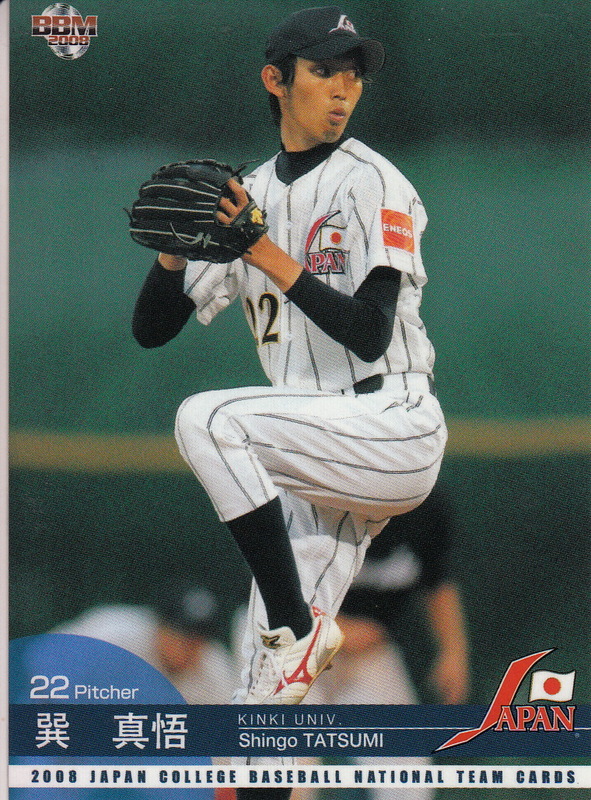 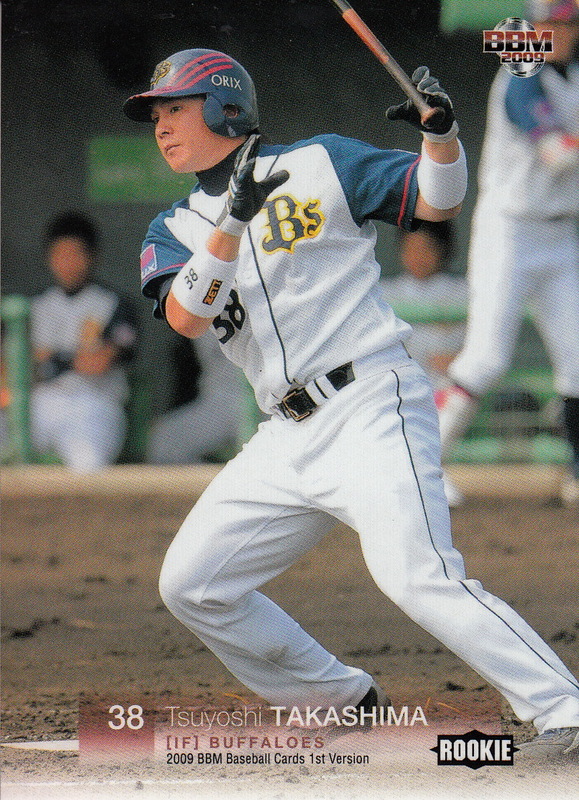 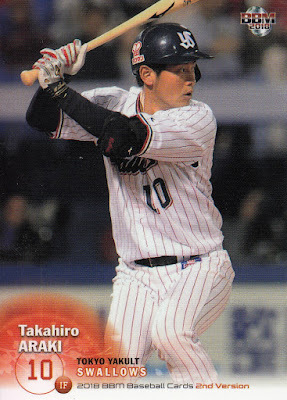 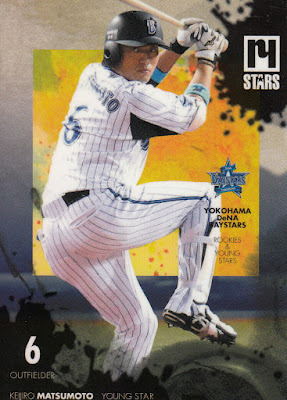 Japanese Baseball Cards: 2008 BBM Collegiate National Team Set - Where Are They Now? 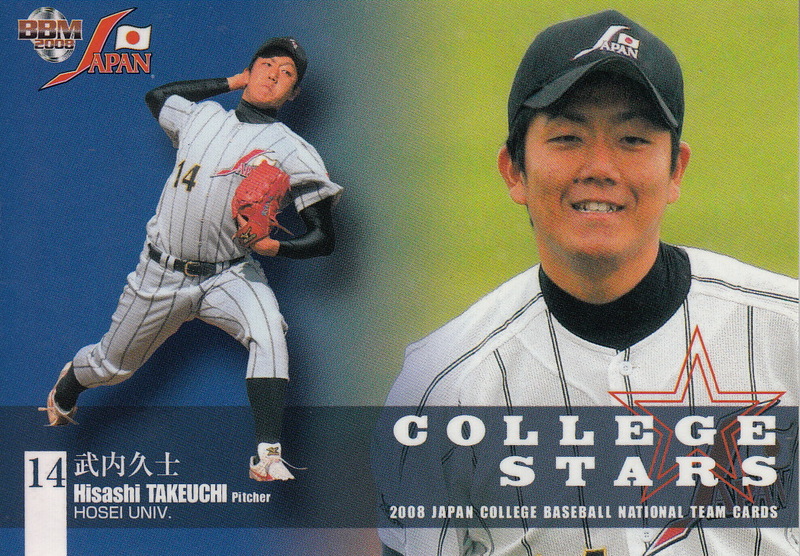 2008 BBM Collegiate National Team Set - Where Are They Now? 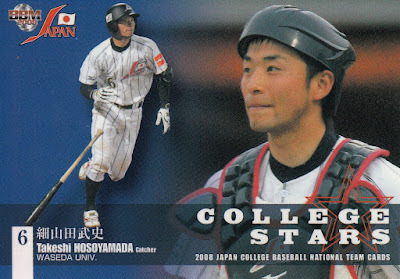 Ten years ago this month BBM released their secondthird collegiate set. 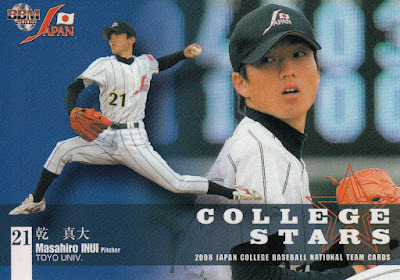 This set featured the Japanese collegiate team that played in the World University Baseball Championship held in Brno in the Czech Republic in July of 2008. This is the only collegiate set of the eleven BBM issued between 2008 and 2013 that is not for the Tokyo Big Six league. 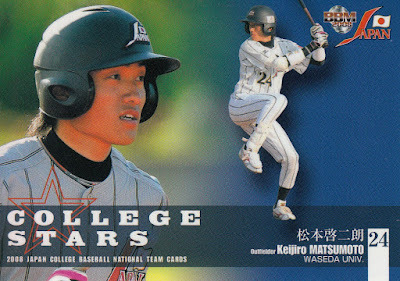 I wrote about this set when it originally came out - it was a 44 card set that featured 2 cards each of the 22 players on the team. As you might expect from a team that's essentially a collegiate all star team, most of the players featured in the set went on to play in NPB. 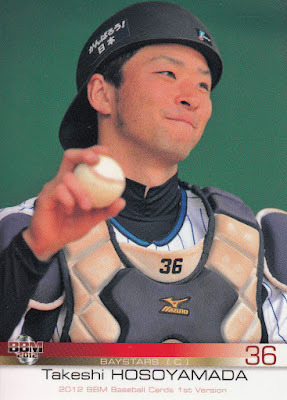 Only two of the players did not go on to NPB - Hiroto Nakamura and Takuya Tsukuura, who were both seniors at Toyo University. 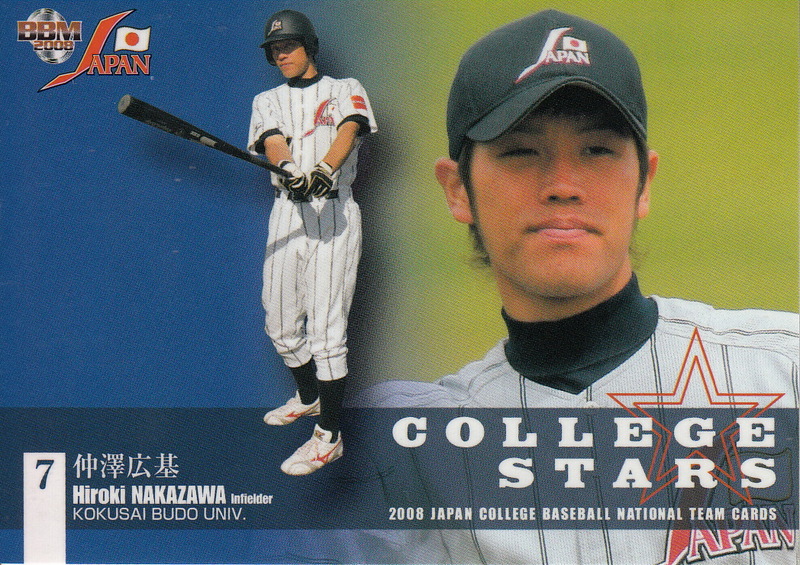 I do not know if they went on to play in the corporate or independent leagues - there's no entries for either player in Japanese Wikipedia. The set is significant as it is the first appearance of Yuki Saitoh in a BBM set - I still maintain it was the popularity of Saitoh following the 2006 Summer Koshien tournament that led BBM to start doing collegiate sets.NOTE - Actually this was the second set to feature Saitoh after the Tokyo Big Six Autumn Version set that came out in September of 2008. I think this is the last time he played for the Collegiate National team which is probably why BBM never did another set for the team. (He also played on the 2007 edition which had memorabilia cards in a 2008 Upper Deck set). 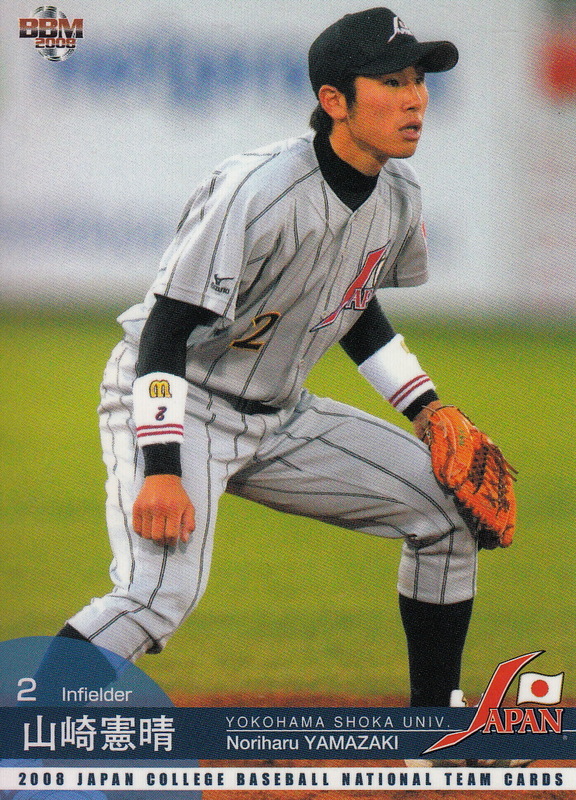 Here's a summary of the careers of the other 20 players. 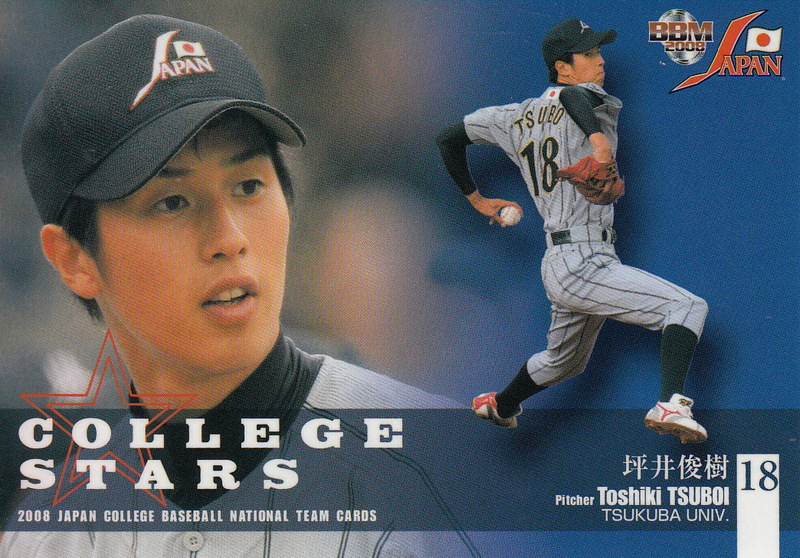 All of them went directly from college to NPB. Five of the players are still active in NPB. 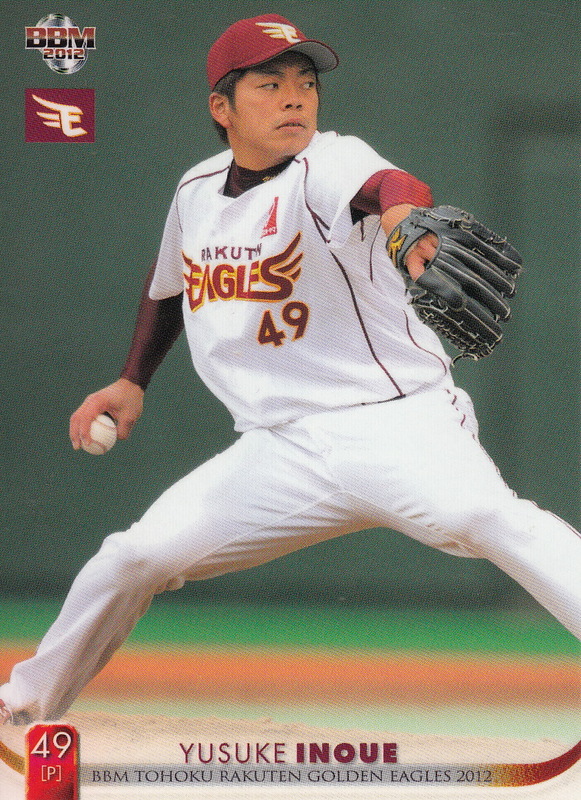 Yosuke Inoue Aoyama Gakuin 4 2008 Eagles 4th Played for Eagles 2009-12. 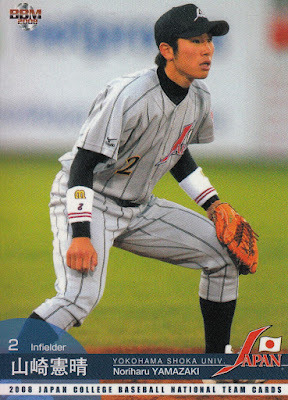 Possibly played for Brownsville of the United Baseball League in 2014. 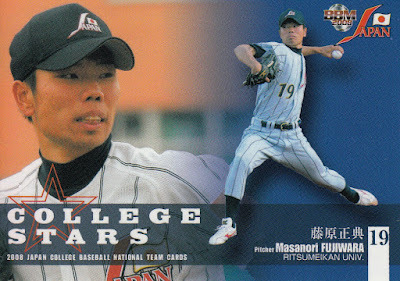 Here's a card of each of these players from the set followed by a card of them with an NPB team. I've tried to get the most recent card I could of them but in a couple of cases it's not all that recent. There are three players - Nakazawa, Takashima and Tsuboi - that I don't have any card for other than their 2009 cards from Rookie Edition and 1st Version. 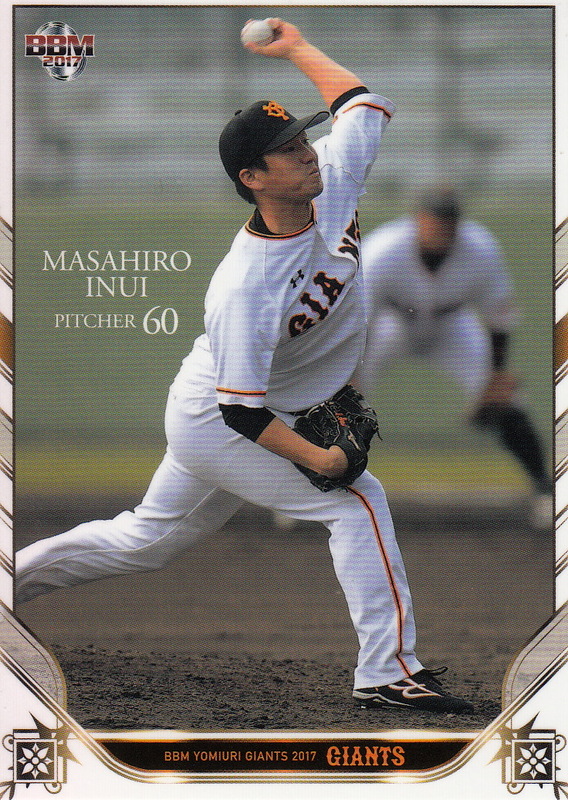 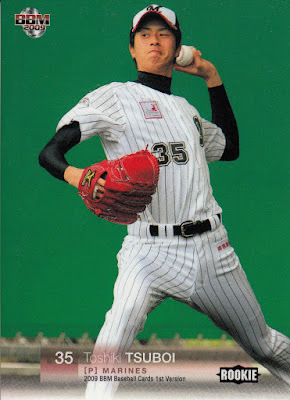 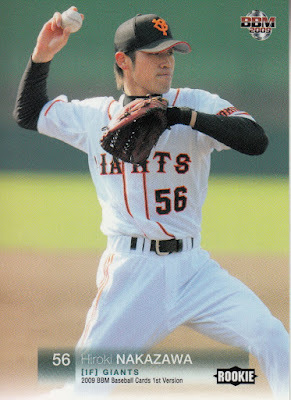 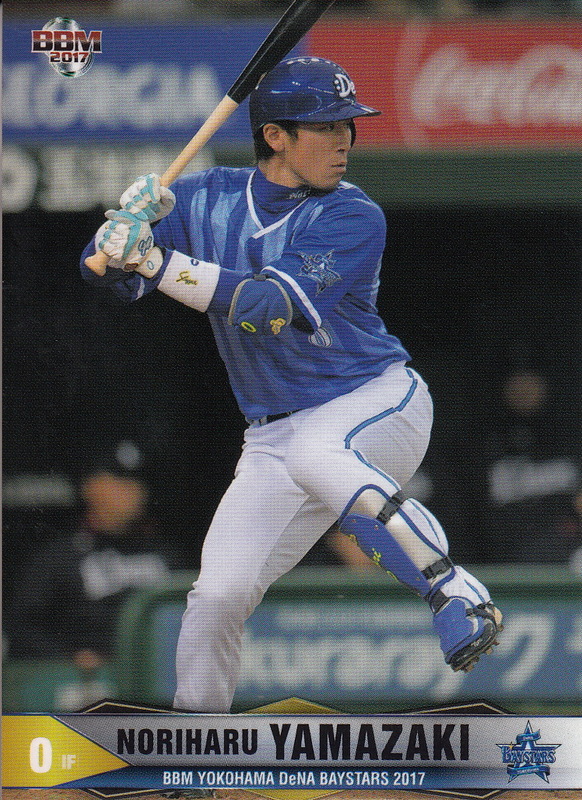 I've also made exceptions for the four players who were also in the 2008 Tokyo Big Six Spring Version set (Hosoyamada, Iwata, Matsumoto and Uemoto) since I've used the most recent card I have for a couple of them.